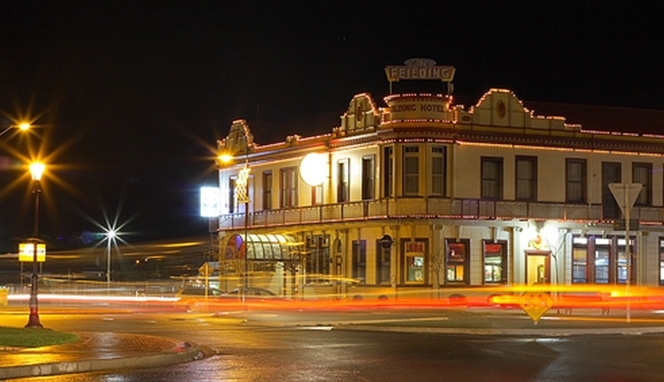 If you would like to enquire about staying at the Feilding Hotel, please don't hesitate to contact us. Twin rooms (2 x single beds). Double rooms (either 1 x queen-size and 1 x single, or 1 x queen-size bed). Room tariffs are very good value at $85 single/double/twin or $95 - $100 with ensuite (2 people, additional person $25). We have a new bathroom block for rooms without facilities. All rooms have tea and coffee facilities, plus a kitchenette with microwave, fridge and hot water. This is great for guests who like to make their own breakfast. 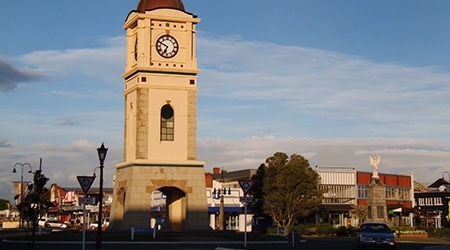 Some of our rooms overlook Feilding’s beautifully landscaped square, whilst other rooms face away from the busier town side. WiFi is available in the CBD and within the Hotel. The hotel has an 18-machine gaming room, full TAB facilities, a karaoke evening every 2nd Friday night, a large bottle store, a sports bar, a lounge bar, and ample off-street parking. We always have lots of in-house specials, along with a weekly bottle store super deal.